Kruthika star day in the month of Karthikai (November-December), all Mondays, Thai Poosam in January-February, Panguni Uthiram in March-April are observed as festival days in the temple. Only Thanjavur Brahdeeswarar temple, Karur Pasupatheeswarar temple and Vennaimalai Murugan temple has a shrine for celebrated Karuvurar Siddhar. Sri Balasubramaniar Temple, Vennaimalai, Karur district. 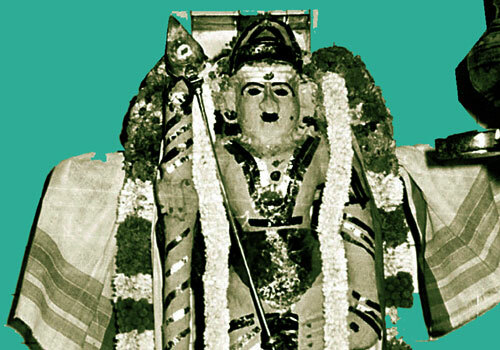 Reputation of temples is spoken of on three factors, Murthy, Sthalam and Theertham. The Balasubramaniar temple is noted for all these glories. Devotees achieve all progress in life by worshipping in this temple. Those having a dip in the holy spring at the foot of the hills created by the divine cow Kamadenu for five days continuously and worship Lord Balasubramaniar are blessed with children and also are relieved of the adverse aspects on them. Devotees perform abishek and offer vastras – clothes to the Lord. While in deep meditation Yogi Bhagvan had the luck of having the Darshan of Lord Muruga and was instructed to make it known to all that He was in Vennaimalai hills. The Yogi immediately informed Lord’s wish to Karuvur king who immediately built a Mandap under the tree and installed Lord Balasubramaniar. The temple came into being. The king also built shrines for Kasi Viswanatha and Visalakshi on the southern side and installed the Shanmuga Yantra on the north of the Lord’s shrine. Lord Brahmma became proud of his profession of creating the world and the beings. Lord Shiva wanted to teach a lesson to him. At a stage, Brahmma could not continue his creation job. He realized his folly and begged Shiva’s pardon. 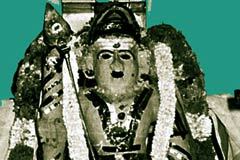 He was advised by Lord Shiva to perform penance in Vanjivanam. Meantime, the creation job was entrusted to the divine cow Kamadenu. Kamadenu created a hill of butter and also a spring with sweet water to protect all the beings from thirst and hunger. This is why, even today, the rocks of the hill is very pleasantly cool even during hot summer. Standing in the very place blesses the person with wisdom and liberation from evils. Lord Balasubramania is all graceful in the temple. The temple is situated at a distance of 5 km on the way to P. Velur from Karur via Vengamedu.